The invention of the cash machine fifty years ago came about as John Shepherd-Barron solved an industry-wide problem, through innovative thinking, to improve upon traditional methods of banking. Despite half a century passing, the insurance industry is striving to do the same as the millennial generation have become increasingly disengaged with current methods used in the market and as a result, have become an underinsured generation. Just as Shepherd-Barron invented an on-demand service with 24 hour accessibility to cash, the insurance industry is following the same methodology as new inventions emerge with the provision of new technologies and solutions for obtaining insurance cover. The world’s first cash machine landed on a north London high street 50 years ago this week, transforming everyday banking for millions of people all over the globe. 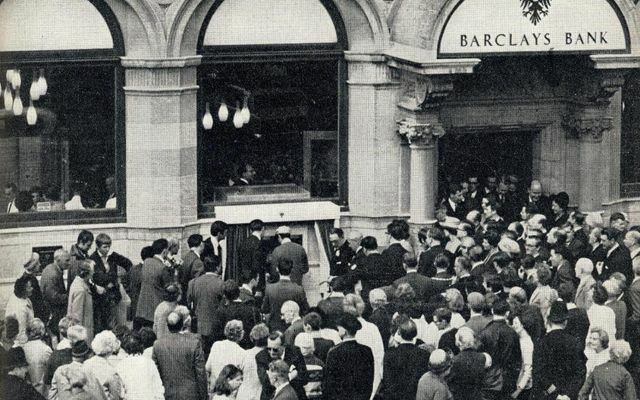 On June 27 1967 the cash machine, installed outside a Barclays branch in Enfield, north London, was unveiled. Customers who needed to withdraw money no longer had to rely on bank cashiers, who would close the doors at 3.30pm. Banks’ restricted opening hours at the time were what inspired John Shepherd-Barron, a British inventor and businessman who worked for De La Rue, the banknote printer, to design a machine that dispensed cash.